You can employ fabric glues in all sorts of crafts. Fabric glues are great for attaching all sort of ornaments to clothing: sequins, rhinestones, glitter, and more. They give you a means of attaching fabrics without having to sew them together. Fabric glues become transparent when they dry, barely leaving any visible traces of glue. You can also choose between permanent or reusable glue, depending on the type of project you are doing. There are also glues that are so strong, the project can be washed in a washing machine and still stay intact. Another alternative is to use them just to hold fabrics in place, until you find a more permanent solution. You can also use heat-activated fabric glue, to iron on patches. 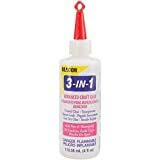 Household glue: You can use typical white glue or even glue stick in simple projects where you want to hold pieces of fabric together. This suffices for children's projects, where you don't expect to have to wash it afterwards. 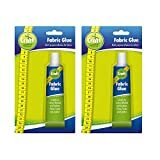 Spray Fabric Adhesive: There is also a spray-on glue, which can temporarily keep two pieces of fabric in place, until you decide to launder it. 3M General Purpose 45 Spray Adhesive is a spray-on fabric glue. Decoration glue: There are special fabric glues for attaching rhinestones, sequins, and glitter to cloth. Such fabric glue can be for objects that you intend to wash periodically ("washable" articles) and crafts that aren't supposed to be washed (non-washable). Glues for elastic fabrics: There are also specialized glues for elastic, stretchable fabrics. Fusible web: Fusible web is a type of glue that allows you to attach fabrics just with the heat of an iron. You cut it to shape and then place it between the two fabrics that you want to join together. When you apply the heat of a steam iron, the glue adheres to the two pieces of cloth. Fusible web also comes in tape form, which is convenient for making a hem on garments ,pillowcases, curtains, and more. There is also fusible interlacing, where the adhesive is already attached to a piece of cloth, and you just iron it on. 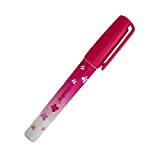 Permanent glue: This is made for one time use—you won't be able to separate the two items afterwards. The Dritz 653111 Liquid Stitch lets you do stitchless sewing. It works on all types of fabrics, and you can machine wash the fabrics afterwards. 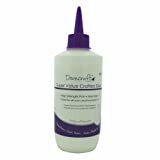 Removable glue: If you have a lightweight job to glue, you can use removable glue. It allows you to detach the two objects without any residue. It would be ideal in making a scrapbook or photo album, or attaching scraps of fabric in a decoupage. Glue Dots Removable Sheets is such a removable glue. Repositionable formula: These allow you to detach what you have glued together and reattach it elsewhere. No wrinkles: Some fabric glues do not work well with felt or velvet--they tend to make the fabric stiff. It is recommended to try out the glue on a small section of fabric first. What's best for kid's crafts: The Glue Dots adhesive is ideal for children's crafts. The children can detach and reattach the pieces of fabric of the ornaments. 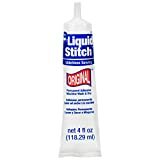 Non-washable glue: If you use non-washable fabric glue, the glue will dissolve when it comes in contact with water. This is intended for “basting”--temporarily securing fabric before sewing. Fabric glues that can be hand washed: There are other fabric glues that will withstand water, but not machine washing. Be aware that you can wash the articles by hand and hang them out to dry, but not more than that. Washable glues: Attaching fabrics with a glue that will withstand machine washing is called “liquid stitching”. It can be used to make a hem on a garment, or to attach beads and other ornaments. But the glue might dissolve in dry cleaning. Safe for other purposes: Note that some fabric glues say they are “photo safe”. This is because some glues will leak through the photograph with time and ruin the picture. 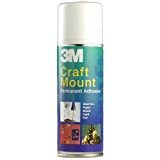 The 3M Spray Adhesive will work on paper, cardboard, plastic, films, foam, and fiberglass. E6000—is an adhesive marketed by Eclectic Products, Inc., founded in 1972 and presently located in Pineville, Louisiana. They in turn are a branch of the Willamette Valley Company, which was founded in 1956. They make Shoe Goo for tennis shoes, Famowood Wood Fillers, and more. Their E6000 adhesive forms a permanent, waterproof bond, and can be used indoors or outdoors. Gorilla Glue—is polyurethane glue that was discovered in Indonesia in 1994, and started being marketed in 1999. They are based in Cincinnati, Ohio. They make glues for wood, stone, metal, ceramic and glass, as well as epoxies and adhesive tape. Tulip—is a brand of the company iLoveToCreate, who are makers of products for crafts. Tulip has existed since 1986, making color products, tools and tutorials for fashion, craft, and home décor projects. Glue Dots—was founded in 1997, based on an invention of John Downs. They have their headquarters in Germantown, Wisconsin. They make innovative adhesive solutions, which are alternatives to using typical liquid and hot glue. Their glue comes also in lines, squares, shapes, and more.